When Caroline flees Chicago following the brutal murder of her husband, the last thing she expects--or wants--is to fall for Matt Carlson, a builder with strong roots in the small town of Mountainview, Tennessee. She needs to focus on raising her six-year-old daughter and protecting both their hearts from ever being shattered again. Matt is struggling with issues of his own...guilt over the death of his wife and the responsibility of raising a cynical teenaged nephew who is dropped on his doorstep, abandoned by Matt's alcoholic sister. He doesn't have time to fall in love, yet he can't help being drawn to the woman who is ready to defend her home--and her daughter--with nothing more than a fiesty attitude and a broom handle. Can Matt's help and friendship convince Caroline to trust again...and when Caroline's daughter goes missing, will Matt be able to find the girl before it's too late and he loses everything he loves...again? Matt plopped quick-drying spackle over a crack in the wall and smoothed it with the trowel. The steady cadence of plop, swish, scrape blended with the easy rhythm of country music that drifted across the room and eased his frustration. He watched Paul lift a bucket of spackle and dip his trowel, and he wondered how the kid—his nephew—had ended up on his doorstep three months ago. Because Eydie’s back in rehab again. Will it ever end? 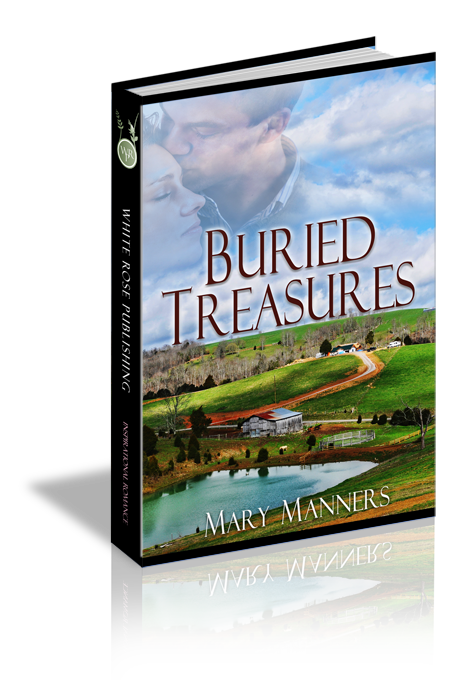 He glanced through an expanse of dirt-splattered bay windows that opened over the battered front porch, affording an impressive view of sleepy-dawn breaking over the tawny pasture beyond. Horses grazed in the cross-fenced field, their heads bowed in search of late-winter grass to supplement sweet feed. At the far end of the field, his house sat nestled among a grove of shade trees, and beyond that a low-hanging thunderhead rolled across the sky like an angry, steel-gray tide. “I do, but it’ll be a while before the hard stuff blows through.” He could smell the sweet, dank scent of rain, though. The wind swayed, moving restlessly around the house like a thief trying to find a way in. Upstairs, a broken shutter drummed against weathered clapboard siding. Dead…the single word carried such power. Matt’s stomach soured, and his voice turned gruff in the early-morning chill. The heat was cranked, but the ancient pump did little to slake the cold edge. He could kindle a fire in the broad stacked-stone fireplace that filled one wall of the living room, but he didn’t plan on hanging around long enough for it to matter. Church service was due to start in a few hours, and he planned to be there...Paul, too. Matt grabbed the hammer from his tool box and turned to face Paul. The kid’s flippant attitude had a way of getting under his skin. He sucked a deep breath…in…out, and gave himself a little pep talk. Calm voice…keep your cool. Remember, he’s watching you, learning from you. Caroline’s spine screamed in agony as the Honda bumped over another rut in the two-lane country road. Angry clouds rumbled overhead, and the sky darkened to an oily blackness. The scent of rain filled the air and settled on her tongue. She gnawed her lower lip and squinted through eerie yellow-green darkness in search of the side road to Aunt Nora’s. It’s been too long…and I’ve forgotten my way around here. Oh, why did Aunt Nora think leaving her old farmhouse to me was a good idea? And Aunt Nora...I can’t believe you’ve been gone nearly six months now…I miss you so! Thunder shook the car and Caroline cringed, her knuckles white on the steering wheel. A glance into the rearview mirror told her Callie was sleeping soundly through the chaos. Her head of soft blonde ringlets slumped at an awkward angle, and the pink windbreaker tucked around her shoulders was rumpled and stained with grape juice. Wind swirled restlessly around the car as if to mock her, and the sky grew more ominous with each passing moment. Driving straight through the night while Callie slept had seemed like a good idea when she sped from Chicago…away from the memories that haunted her like a nightmare that wouldn’t let go. But now, twelve hours and five hundred long miles later, she wasn’t so sure. Not that she could have stayed in Chicago another day…not with the court date looming. What if he…that heartless killer…was released? The car crested a hill, and a flicker of light on the horizon caught Caroline’s attention. Someone was awake in a house across the pasture. She wiped condensation from the bug-splattered windshield with the sleeve of her flannel shirt and squinted into darkness. The car’s headlights caught a sign at the next intersection. Caroline gasped. Collier Road…the road to Aunt Nora’s house! My house now…and Callie’s. Her heart stuttered as she struggled to train her gaze on the house and navigate the road at the same time. What were lights doing on? Who was there…and why? Caroline’s belly knotted. Her hands trembled on the steering wheel. She prayed the gas tank held enough fuel to power the car as she eased down the winding road. Rising winds heaved the vehicle from side to side like a rag doll. A jagged bolt of lightning ripped the sky, followed by a roar of thunder that tossed her back in the seat. Bullets of rain pelted the windshield like machine-gun fire. Please, Lord, guide Callie and me to the light. The glow from the house grew brighter, illuminating the sleepy horizon. She followed the curve of the road and found the narrow entrance to a winding gravel drive flanked by dancing Bradford pear trees. Floodlights cast an eerie glow over the front yard, and rain blew sideways like a gush from a fire hose, blinding her. The familiar whitewashed farmhouse rose through the shadows like a winking sentinel with a peeling sunburn. A broken shutter slapped against a second-story window. A pickup sat in the drive. Caroline slammed on the brakes. The car fishtailed, spitting gravel, and missed the pickup by mere inches before it sputtered a dying breath. Caroline heaved a sigh of relief, threw off her seatbelt, and swung around to check Callie. Lightning struck a Bradford near the road. Its trunk erupted in a deafening crack followed by a shower of sparks. The acrid smell of scorched wood filled the air. Caroline shoved open the driver’s door and shivered as cold rain pelted and stung, and the wind whipped her long hair into damp knots. Heart racing, she threw open the back door and wrestled Callie from her booster seat. Shielding the child’s sleep-limp body, she slammed the car door and dashed through the downpour to the protection of the porch awning. That’s when she saw him through the smudged front bay windows…the man inside the house—her house. Coffee-colored hair covered the collar of his rumpled navy T-shirt, and muscles grew taught as he swung a hammer at the door frame. Staccato pounding echoed over the howl of wind that swirled around her. He was big, tall…powerful-looking. She imagined he could do a lot of damage with that hammer. Lightning flashed around her like strobes doing battle with the floodlights over the front porch. Thunder roared and rocked the ground, nearly knocking her off her feet. In her arms, Callie whimpered and squirmed through a restless dream. Caroline fumbled in her pocket for her cell phone and realized she’d left it on the front seat of the car along with her purse…and the car keys. Caroline debated only a moment before grabbing an industrial-sized push-broom propped against a wicker rocker near the front door. The storm closed in. She cradled Callie in one arm and hoisted the broom handle like a saber in the other as she kicked open the solid-wood front door. The element of surprise was all she had going for her. The door slammed wide, and the man tumbled backwards from the force of her kick. The hammer flew from his hand. It bounced off the hearth and clattered across the scuffed wood floor behind him. “What are you doing here?” Adrenaline had Caroline’s heart galloping. Suddenly her senses came to full attention, and the exhaustion from a twelve-hour drive through night-blackness fled. “What the…” He scrambled to his feet. Wide blue eyes gaped at her from beneath plaster-speckled hair. His face was streaked with grease, and his paint-splattered T-shirt sported a gaping rip at the hem. “Get away. Move back toward the wall.” She jabbed the broom handle at his mid-section. The sound of her name eased her fear down a notch. How did he know who she was? “I’m fully aware of that.” Callie whimpered and squirmed in her arms, and Caroline ached under the weight of her. “No, baby.” She smoothed damp hair and kissed a clammy forehead. Matt nodded slightly, tossed the hammer into the tool box, and gathered Callie into his arms. She nestled her head against his cotton T-shirt. “There you go. That’s better, sweetie.” He laid her on the couch and tucked the jacket around her shoulders. He laughed again, and kicked the toolbox closed. Metal clattered as the clasp engaged. “Over the years weather splintered the wood. Nora never bothered to lock her doors, but she figured you might feel differently. So she asked me to take care of it, and a few other things, before she…passed on.” His voice lowered, and a hint of sadness shadowed his eyes. “Oh, wait a minute.” Caroline ran a hand through damp hair, pacing. “She did mention you just before…she mentioned you might…” The floor blurred as tears filled her eyes. His arms were splattered hand to elbow in what looked like white paint, and he was the spitting image of Matt-with-the-hammer, except leaner and lacking the muscle definition. Caroline guessed it would come with age. A flash of lightning rent the sky followed by a roar of thunder that rattled the house’s front windows. Wind whistled through the hole in the front door. Callie whimpered and wiggled on the couch as rain gushed through the gutters to pool along the front yard. “Me, too.” Caroline sighed, and weariness settled in her bones. She rubbed a painful kink from her neck. “I was going to stock the fridge for you…” Matt’s voice trailed off. The small cooler peeked just out of reach through the front passenger window, but it might as well have been miles away. The door was locked tight and a scuffed brown leather purse—Caroline’s, Matt assumed—lay beside a set of car keys. He remembered Nora, and what she’d told him just before she passed. He knew all about shattered hearts. There were plenty to go around. It was an epidemic. Matt dodged light raindrops back to the house. Dawn bathed the pasture in a milky-pink halo. Through the expanse of bay windows, he saw Caroline take a second towel from Paul. She rubbed the rain from her hair and stretched her back like a cat—long legs and torso topped with a mass of caramel curls. Flannel looks good on her. The thought startled Matt, and he switched gears fast. The last thing he needed was to get tangled up with a woman. But she’d surprised him by arriving early. She must have driven all night long. And all he got for his attempt to help her was a door slammed in his face and a broom jabbed at his belly. He’d take her to his house, make sure she and the kid had something decent to eat before Caroline fell asleep on her feet. Dark smudges shadowing her eyes told the story…the woman was beyond exhausted. Yeah, he’d make them both something to eat, and then send them on their way, grab a shower, and head to church. He had enough on his plate, dealing with his misguided sister and trying to keep Paul on the straight and narrow. He’d honor Nora’s wishes and help Caroline settle in here, that was all…that was enough. When Caroline meets Matt for the first time, her fear causes her to lash out at him. Has fear ever caused you to lash out? What were the results? Q2. Caroline's anger over her husband's murder makes her turn away from church, yet she still prays on her own. If you were her friend, what would you say to her? Q3. When Callie wants murals painted on her bedroom walls, Caroline feels inadequate because she's not an artist. Have your children or someone you love ever wanted something you couldn't give them? If so, how did it make you feel? Q4. Callie's love of books helps her acclimate to a new school. Do you have a favorite book? What is it? Q5. Paul has a hard time trusting that his mom can overcome her alcohol addiction. How does this distrust affect his relationship with Matt? Q6. What is the significance of Matt removing Mandy's photo from his wallet? How did this gesture make you feel? Q7. What does Matt's relationship with Mrs. Winslow tell you about his character? What does it teach Paul? Q8. Do you think Matt and Caroline meted out a fair punishment when Paul got drunk? What, if anything, would you have done differently? Q9. What do you think of Callie's comment that the angels told her Matt would find her? Q10. What do you think the future holds for Paul and his mother? Why?